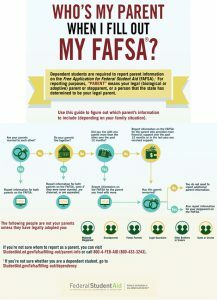 The flow chart was shared in a post on the department’s Homeroom blog. Authors Tara Marini and Cindy Forbes Cameron — who work in the Federal Student Aid office — also highlighted some general advice for students. • If your parents are living and legally married to each other, answer the questions about both of them. • If your parents are living together and are not married, answer the questions about both of them. • If your parents are divorced or separated and don’t live together, answer the questions about the parent with whom you lived more during the past 12 months. If you lived the same amount of time with each parent, give answers about the parent who provided more financial support during the past 12 months or during the most recent 12 months that you actually received support from a parent. • If you have a stepparent who is married to the legal parent whose information you’re reporting, you must provide information about that stepparent as well. 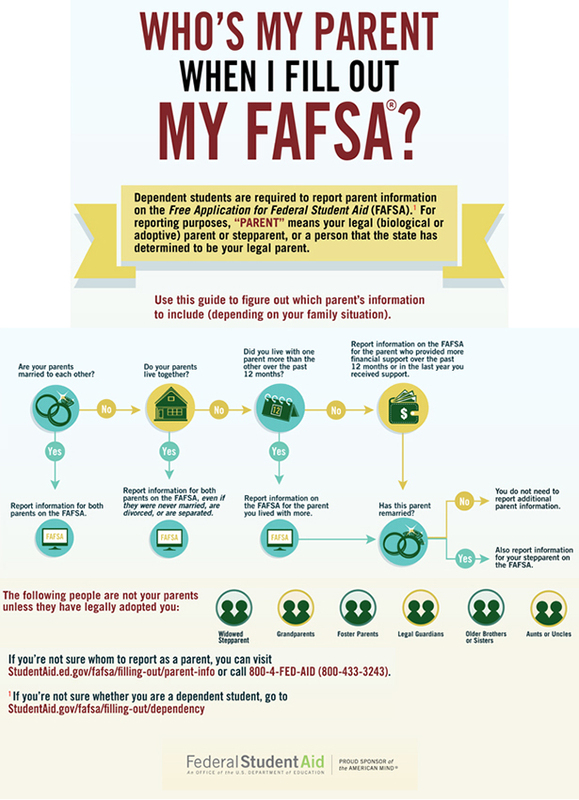 Students must complete a FAFSA to be considered for federal financial aid. Forms for the 2017-18 academic year are available now.